I love Mary Poppins! In fact it is one of my favorite movies of all time. The wonder of her world, how she faces everything with an element of fun and the music make it pure enjoyment! I was so excited to hear that Mary Poppins was returning to the big screen and couldn’t wait to see the movie! 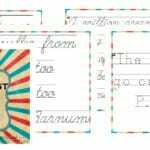 Thus, a Mary Poppins Returns Movie Study had to be created! 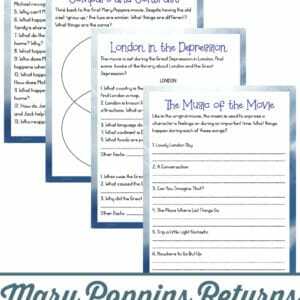 Inside the Mary Poppins Returns Movie Study you’ll find a compare and contrast, discussion questions, a history study and more! 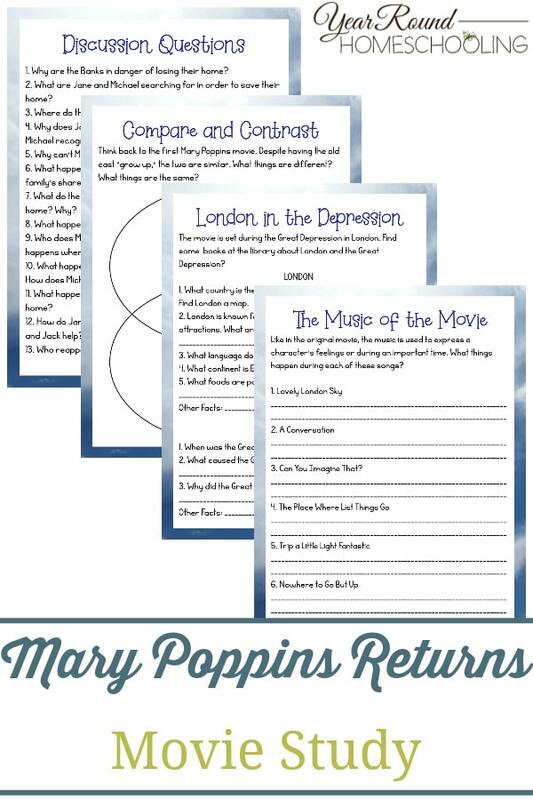 Have fun discussing the original Mary Poppins and comparing it to the new adventures of Mary Poppins Returns! 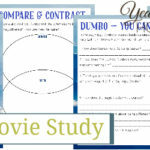 If you’ve never watched Mary Poppins with your kids before, start there and use the original Mary Poppins Movie Study! 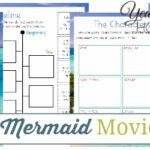 For even more movie studies to use in your homeschool click here!